In our Start : Stop reflections throughout June we will be thinking about ways of praying in daily life, using the method of prayer known by the acronym ACTS. 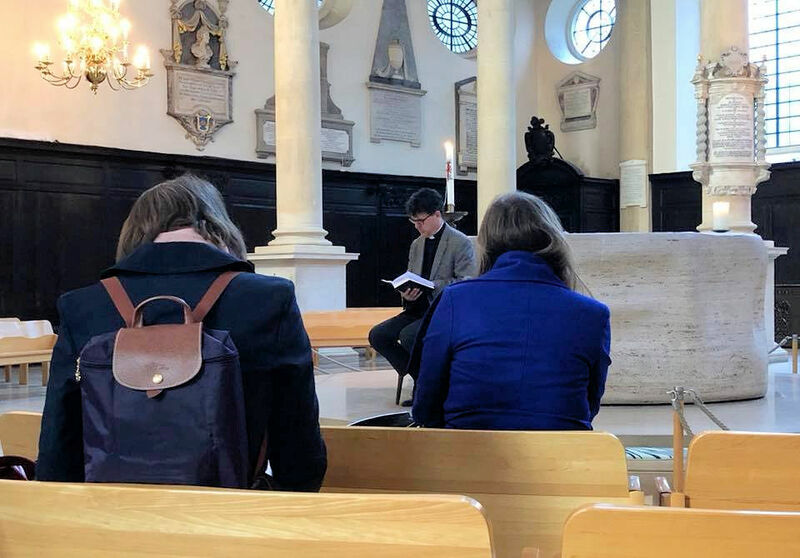 Today in his reflection, Reverend Stephen spoke about Jonathan Aiken, the former television executive and politician who was convicted of perjury and is soon to be ordained as a priest at St Paul’s Cathedral (he will become a self-supporting Prison Chaplain). Jonathan Aiken thanks God for his time in prison – it was here that he developed his prayer life. In his book “Prayers for People Under Pressure” he describes the ‘ACTS’ method of prayer. ACTS is an acronym for Adoration, Confession, Thanksgiving and Supplication; one way of helping to guide and structure our prayers. Today we are thinking about the first element – Adoration. We will consider the others over the coming weeks. There are some who find repeating prayers to be a little restrictive. There are others who say repetition is like the working of water on the rocks; gradually forming a “Grand Canyon” of Prayer on our hearts. We started today’s reflection by reading part of Psalm 95. The “Venite” (Latin for “Come” – the first word of the Psalm) has been used in the liturgies of most of the Christian Church since the earliest times – most commonly as a call to Morning Prayer. This great prayer calls us to come before the Lord with songs of praise and adoration. In saying – or singing – the Venite we are calling one another to “come” and adore him. As we go about our day today, Reverend Stephen suggested that we look for the “joyful noise” of praise, worship and adoration of God. Please join us for Start : Stop every Tuesday morning. Call in at any time from 7.45am – 9.15pm. Our ten minute prayers and reflections start every quarter of an hour up until 9.00am. Start your day by stopping to reflect for ten minutes.